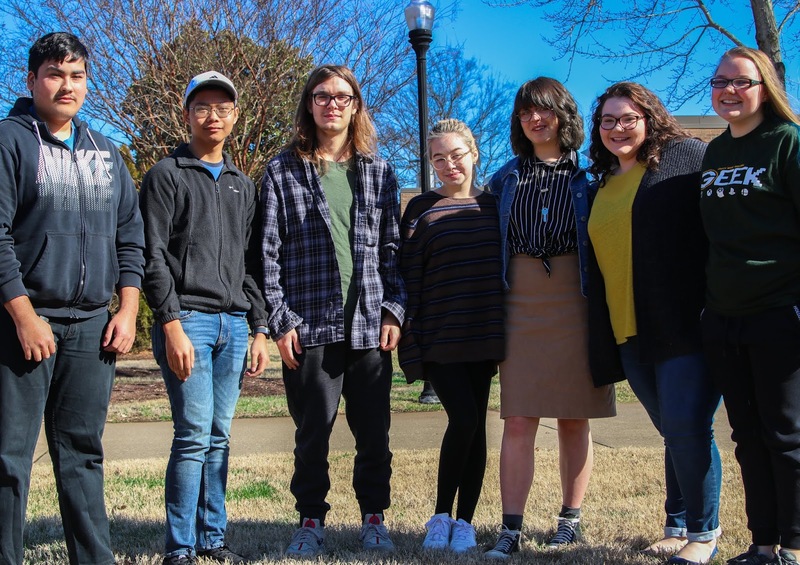 From topics explaining ASMR to promoting mental health awareness, the Vol State Middle College students have been diligently working on original podcasts. They're participating in a competition sponsored by National Public Radio. It’s an opportunity for eligible students to potentially have their podcast aired on NPR’s All Things Considered or Morning Edition. 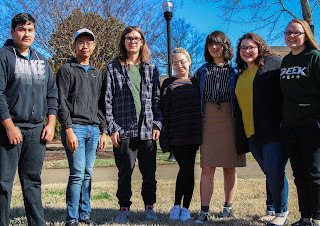 After an internal competition at Vol State, the top six podcasts were sent to NPR for judging, which are now up on SoundCloud. Check them out here! We went behind the scenes to hear about the process. A Middle College principal, Brad Schreiner, said that the idea emerged when Carol Bazenet of Student Services was driving into work and heard about the competition while listening to NPR. “It’s really cool, it was a lot of fun researching it … We all hit, like, an Aha! moment at the same time … At first when we started it, we were like, ‘this is going to just be a project,’ but when it got down to it, it became so much more than that, and it’s been a lot of fun,” said Sarah Chichester, whose group discussed the JonBenét Ramsey murder case. Sarah added that the most challenging part for her group was formulating their script. “Developing a script and what individual role we each play, just working on those communication skills, I think it’s been beneficial for us … There’s a lot of behind the scenes work that a lot of people don’t really think about, like who’s going to say what at what time, how are you going to organize the topics, and what are you going to cover and address in a short amount of time,” said Julia Bazenet. Julia’s group focused on mental health awareness for middle and high school students. Other students read an analyzed an old short story that they found in an anthology at an antique store. “It is called “Exchange of Men” and it’s by Joseph Cross, which we took forever to figure out that it’s a pseudonym that a dude used, like, one time forever ago," said Simon Smith. "It’s an opportunity to look at some unique content and still have it be school related,” he later added. The students gained hands on experience with Vol State’s sophisticated recording equipment and refined skills in researching, organizing, and communicating information. “We do many different activities like this, so it was a perfect thing to do to help kids get to know each other … It helps with teambuilding and it helps kids work on their networking skills,” Brad added. For more information on NPR's competition, click here. The winners will be announced this month!